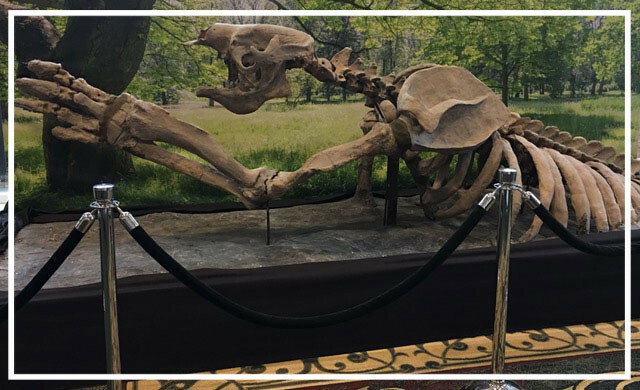 Georgia’s own giant ground sloth, on exhibit since 1973, is headed for a quiet dark respite in a UGA warehouse. The skeleton was unearthed near Brunswick, Georgia during the construction of I-95. UGA geology student Albert Brantley and Professor Michael Voorhies articulated the skeleton. The sloth roamed south Georgia swamps some 14,000 years ago. 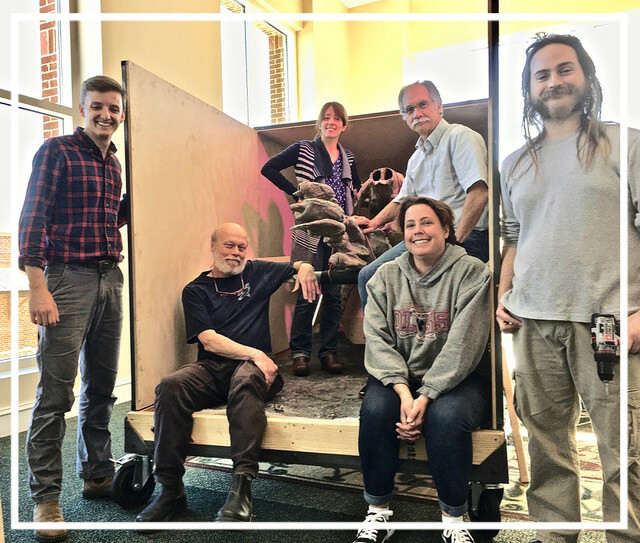 Museum staff and interns secured and crated the sloth for transport from the Classic Center to the University Warehouse for temporary storage. We, Friends of the Museum, hope for a speedy return of the iconic sloth to a suitable public display. The Museum of Natural History is grateful to the Classic Center for the opportunity to exhibit this magnificent specimen this winter. Bud Freeman, Rick Hoebeck, Nikki Castleberry, Nicolle Pontzer, John Skaggs, Morrison Nolan. The February meeting of the Board is scheduled for February 7th , 5:30 pm at the Gallery. Do you have a concern, or a question you’d like to put to the Board. Contact me (soilmite@earthlink.net) or any board member. Paid your 2017 membership dues? Go online at http://www.gmnhfriends.org/membership/, or mail a check to: Friends, Natural History Building, University of Georgia, Athens, GA 30602-1882.